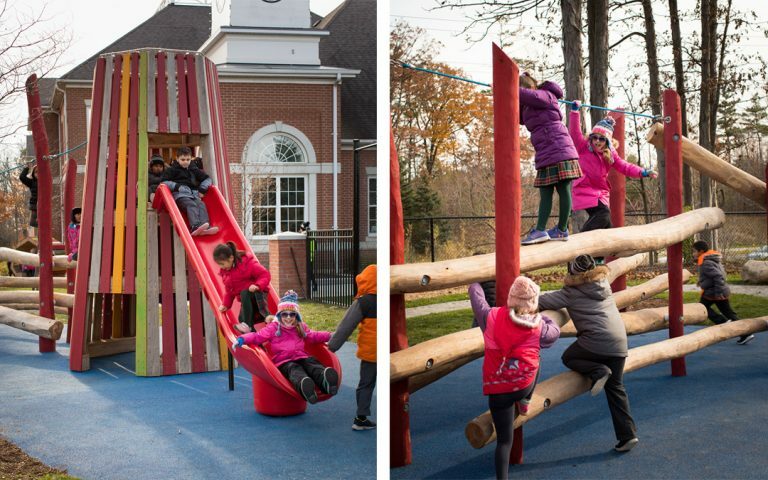 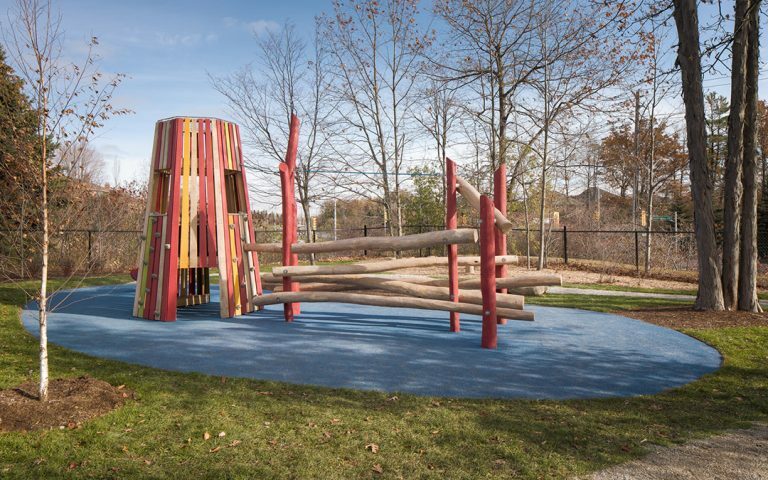 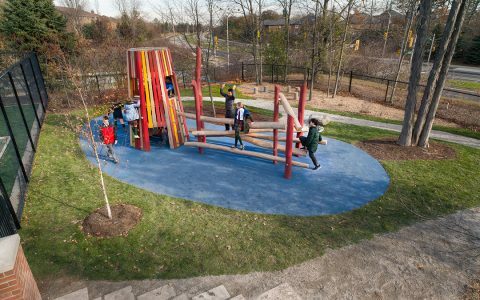 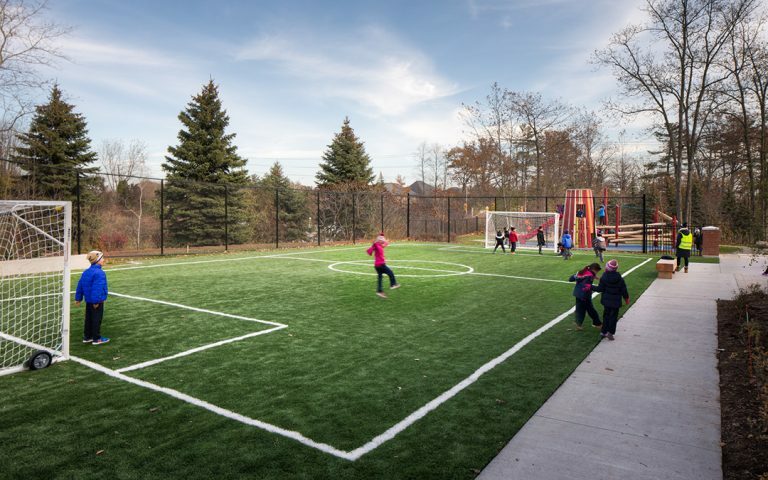 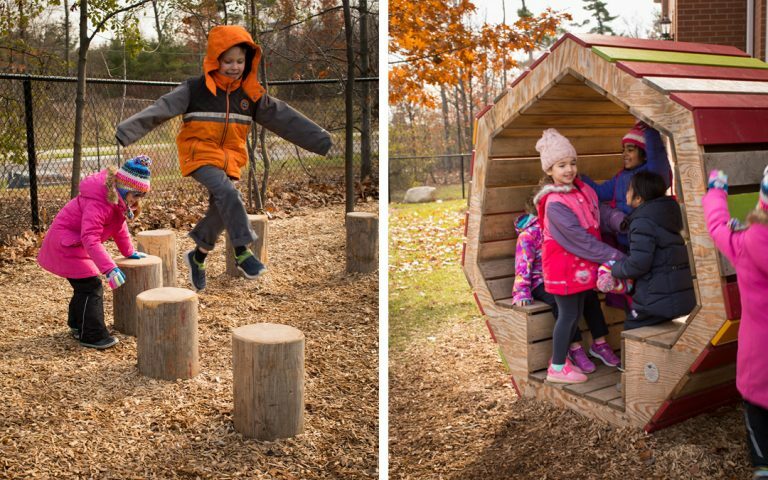 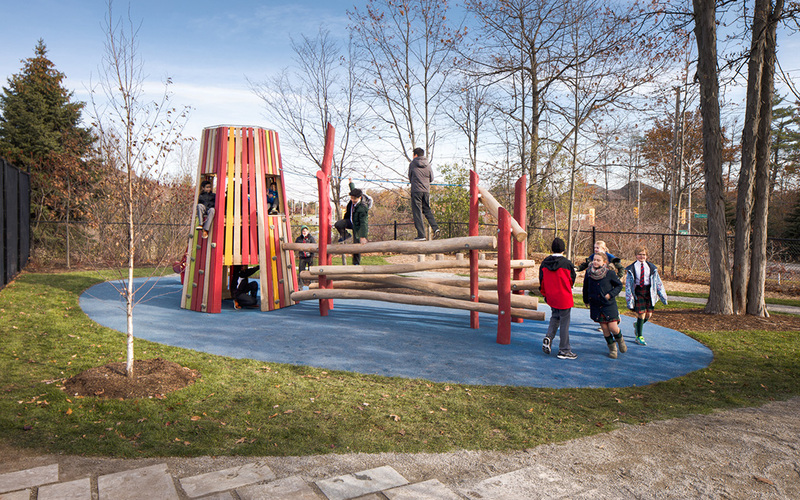 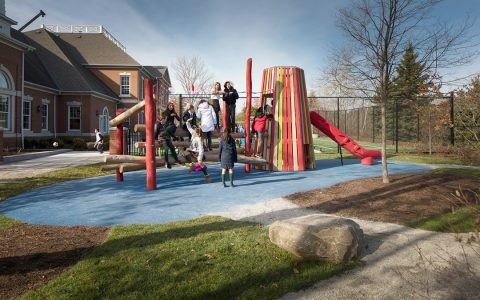 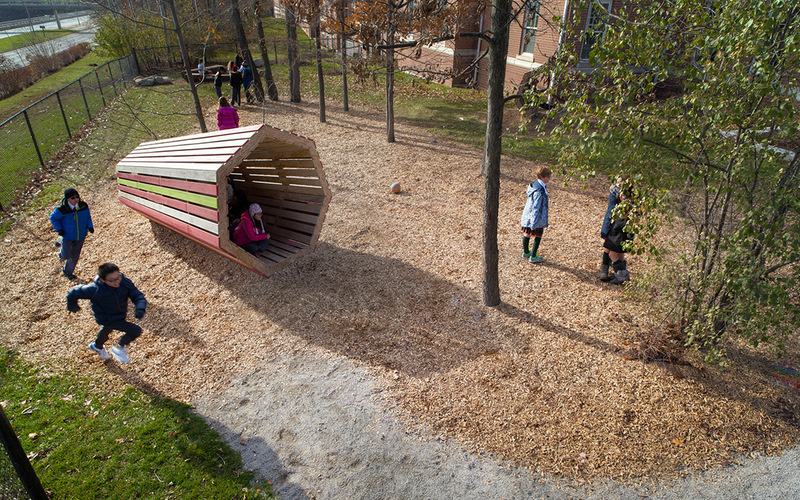 A modern, wood aesthetic with colours that compliment the school’s crest create an exceptional natural playground experience for children at Rotherglen Primary School in Oakville. Open and unused space was transformed by this Earthscape design that creates a multi-use play yard for both formal and informal play. Users enter into the new Rotherglen Primary School through a contemporary, but traditional and structured ‘front’ space that includes custom concrete seating walls, timber benches, planting areas and an artificial turf soccer pitch – an ideal place for more organized sports and play. Beyond this, a mature grove of trees holds a creative and unstructured playspace with sculptural play forms, a tower and custom log jam™. 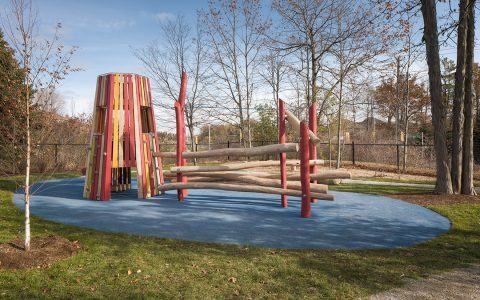 The tower sculpture and log climber are complimented by smaller simple form sculptures where children can active climb or sit with friends to socialize or hide away. 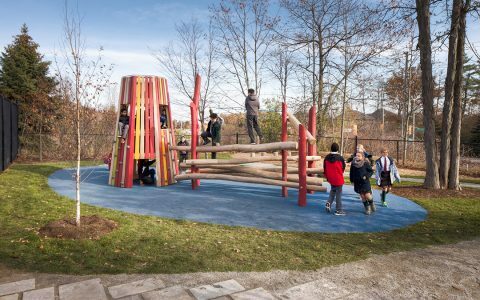 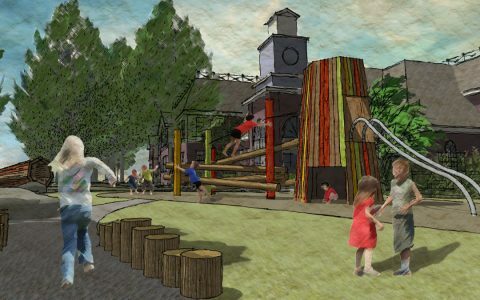 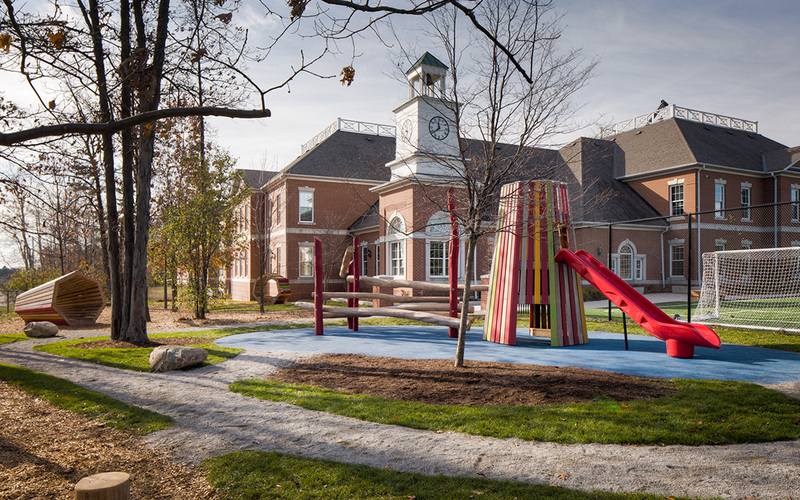 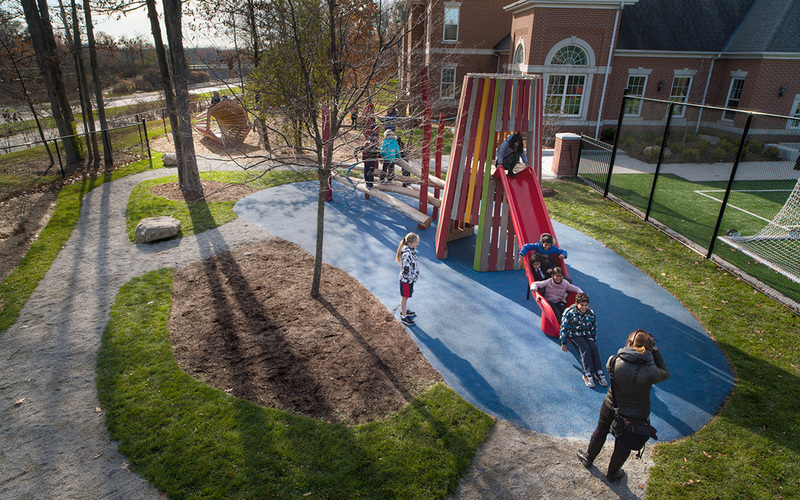 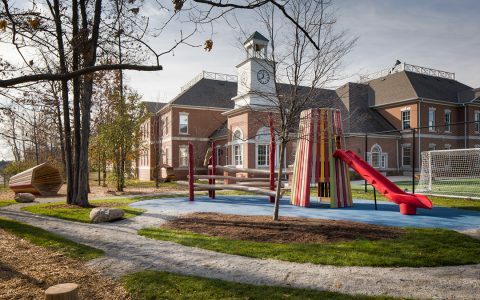 The playscape maximizes connective assets of the surroundings, incorporating the contemporary, traditional and natural features of this historical site and building. The comprehensive site plan includes several play areas plus connecting pathways and seating. 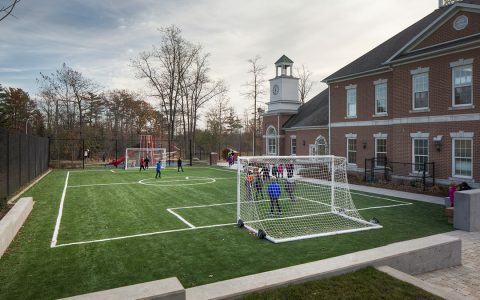 The aesthetic is tailored to reflect the school’s high standards and traditions but stand out in its distinct and creative form.